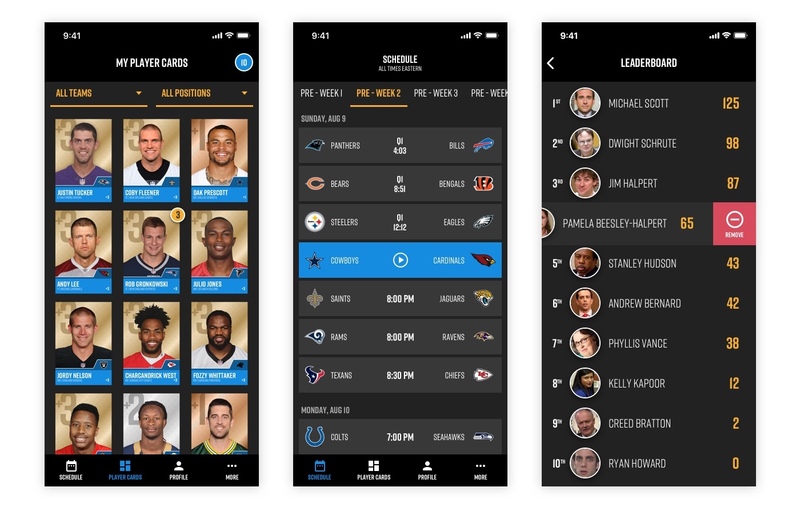 BenchBoss is a real-time, play-by-play fantasy football mobile application one can play with their friends while watching NFL games. One of the primary goals of this project was to improve the usability while adding some simple interactions. 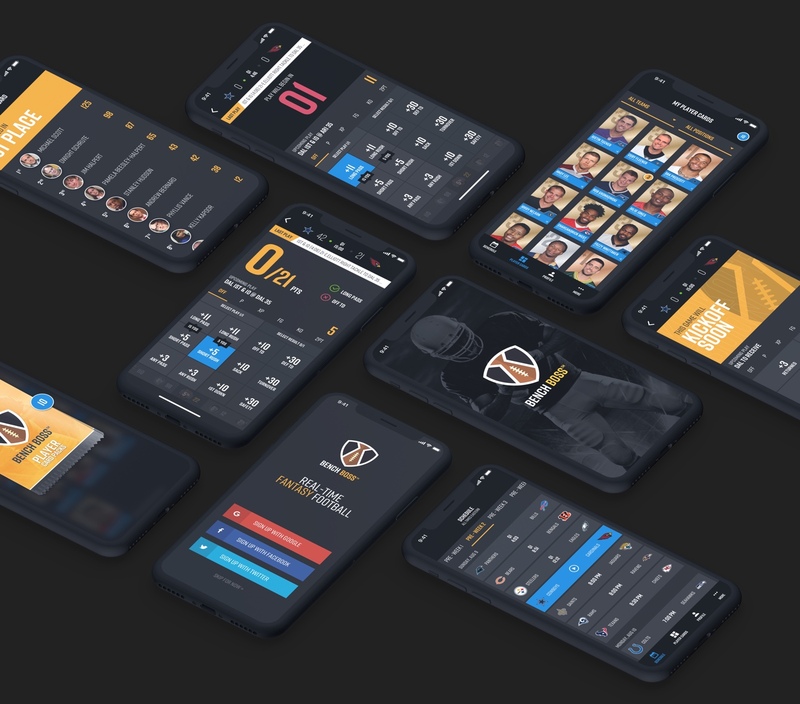 With all of the features within the application, BenchBoss needed a standard pattern of how users would navigate throughout it while not disrupting the flow. Below are examples of the interactions and animation for managing your player cards and navigation panel. After some usability tests, we opted to update the navigation within the application. Using a standard tab-bar nav pattern in iOS helped users find their way to the games, their player cards and more. Within the gameplay, there's also an opportunity to view the leaderboard and boot players if you choose to. With a simple swiping action, you can remove those players from the game.